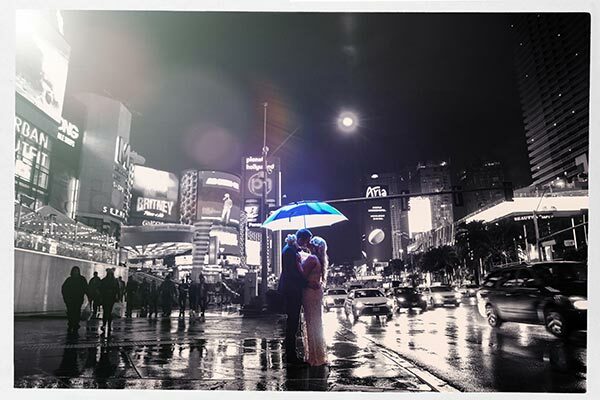 Primary photographer, Andreo, took this awe-inspiring Las Vegas Strip wedding photo at a Ciaran and Ciarrai’s rainy post-ceremony photo session on January 22nd, 2017. Congratulations Andreo on winning January’s Photo of the Month for the Primary Photography category! Have a dramatic and romantic photo session at your Las Vegas wedding. Photo sessions are available to be added to any all-inclusive wedding packages and contact our wedding planners today to plan your Vegas wedding!